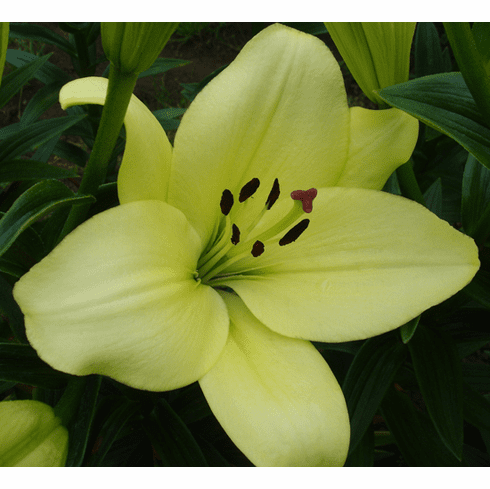 'Trebbiano' is a blend of soft yellow with rare, green overtones. In very cool weather, she might have a few spots, but even here in the Pacific Northwest with our cold June night temperatures, it is rare. 'Trebbiano' carries a light fragrance. June / July Flowering here, this beauty hits about 3 feet in our field.